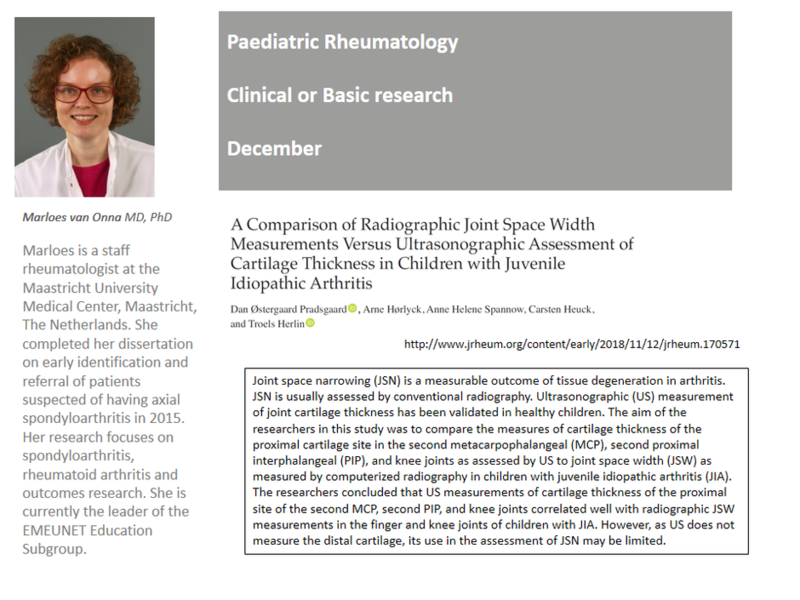 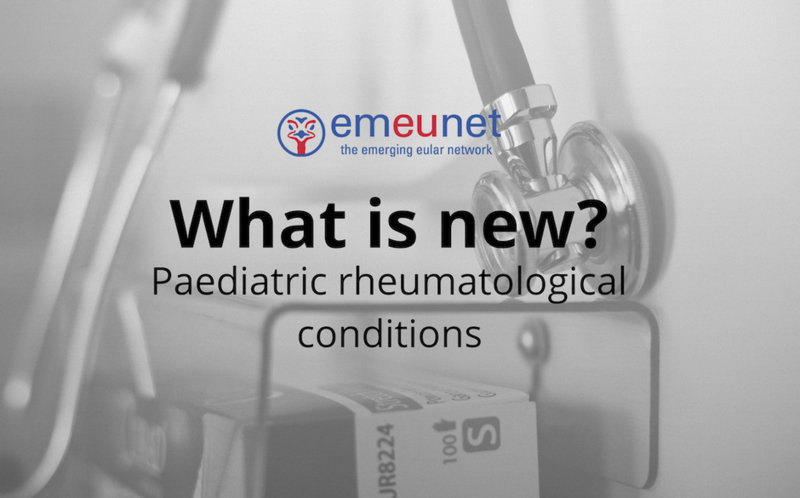 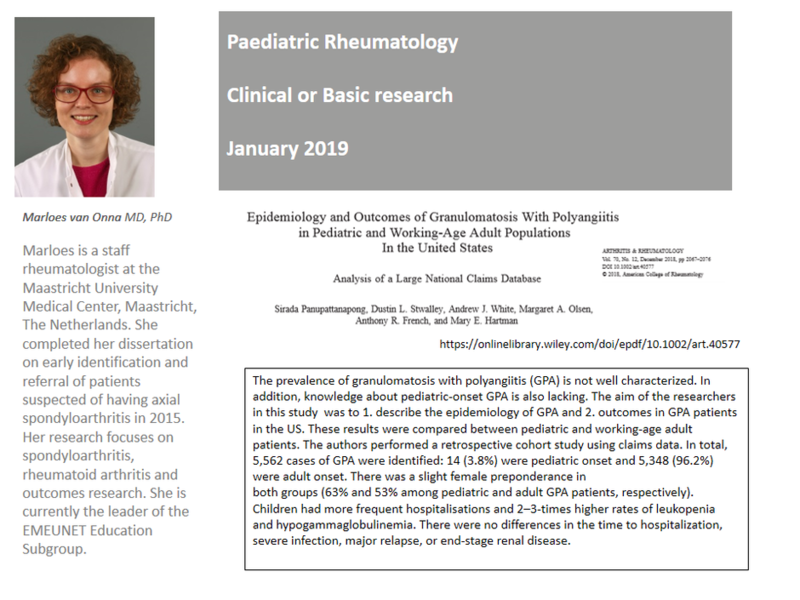 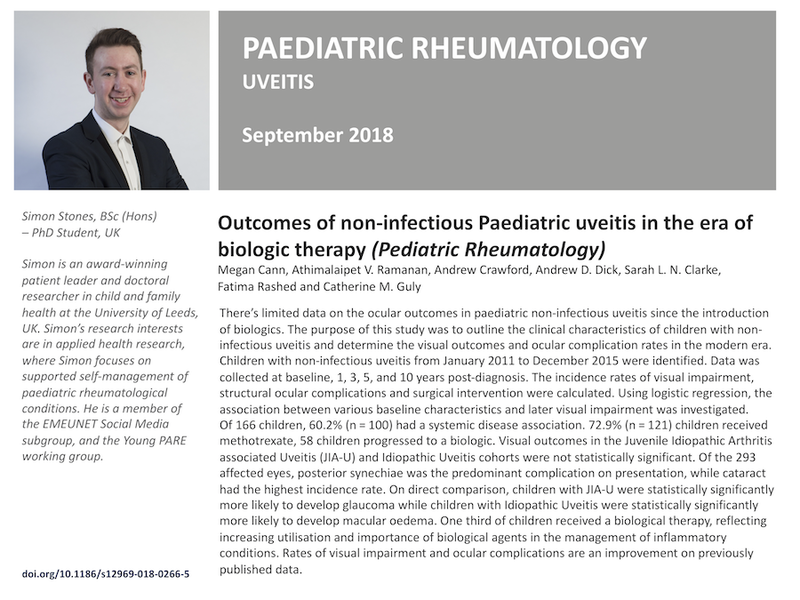 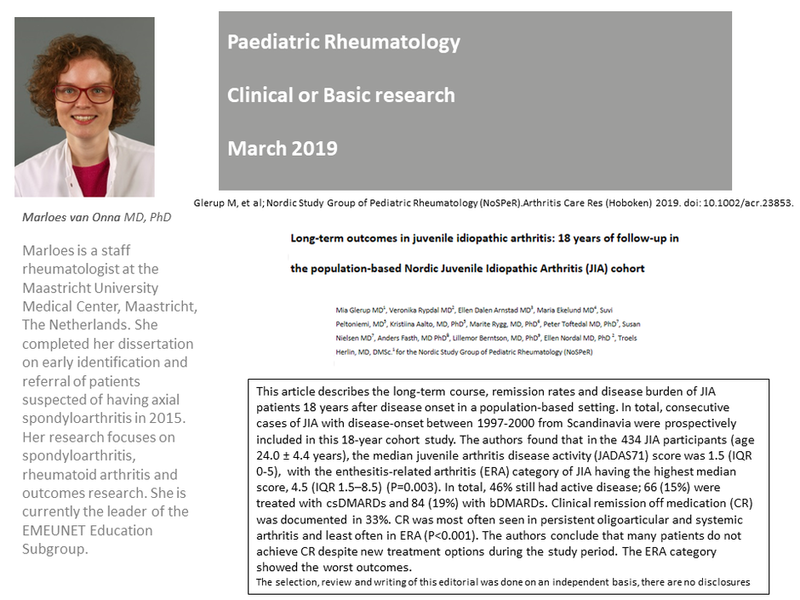 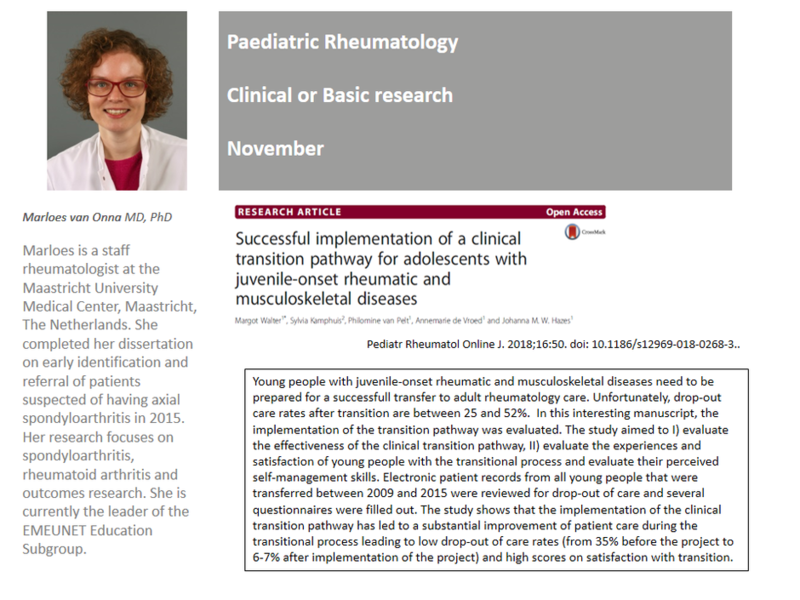 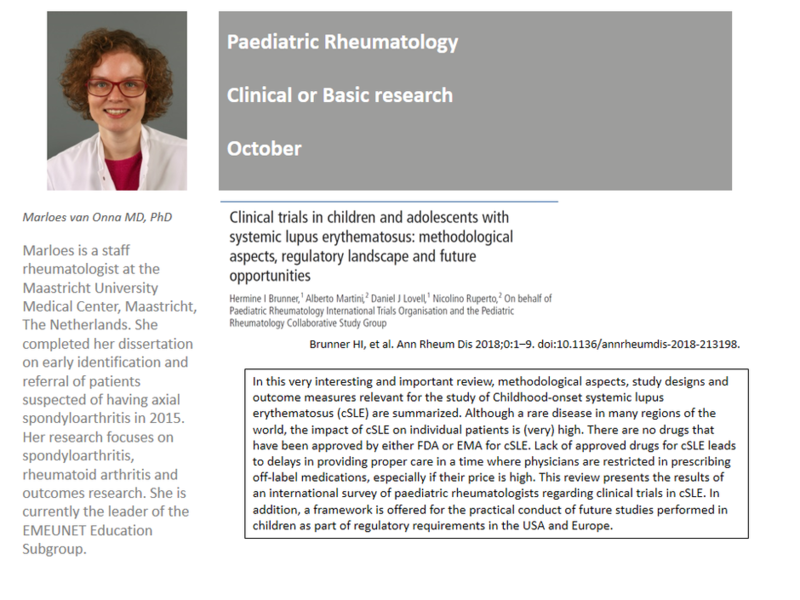 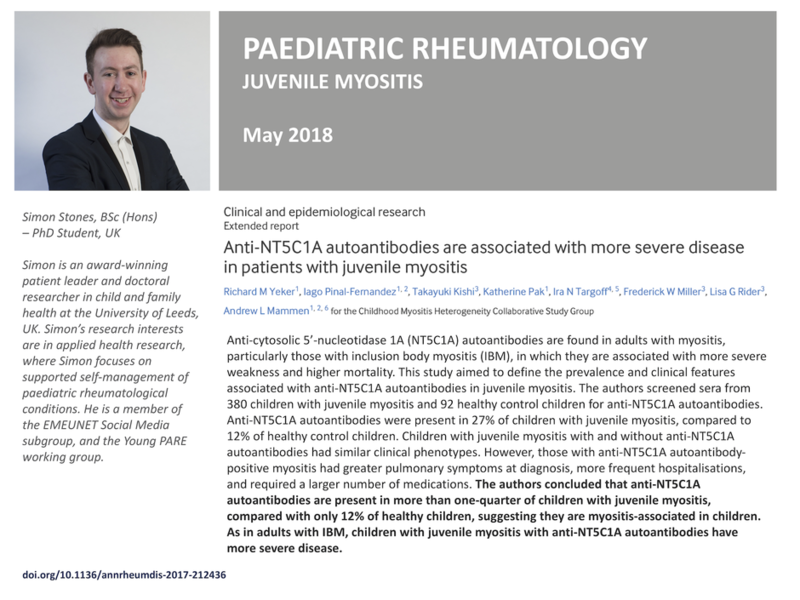 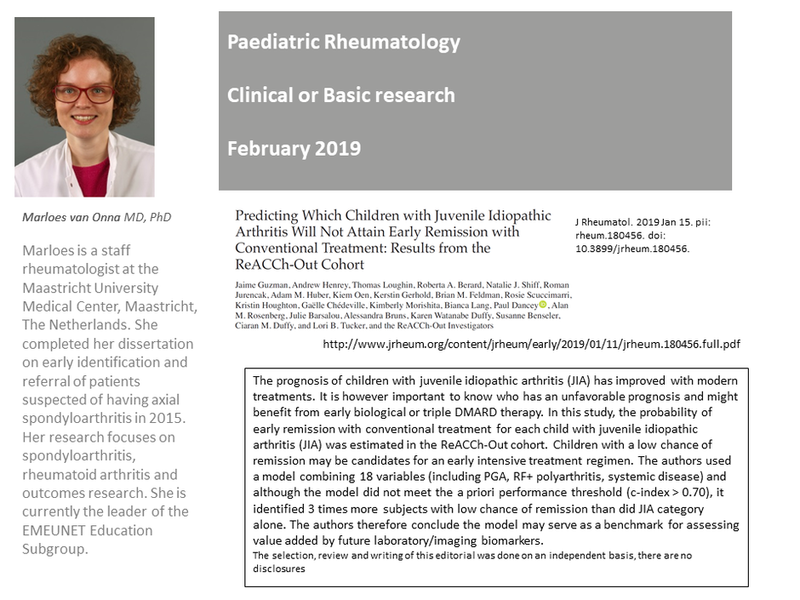 Take a look at our 'What is new' highlights in paediatric rheumatology! 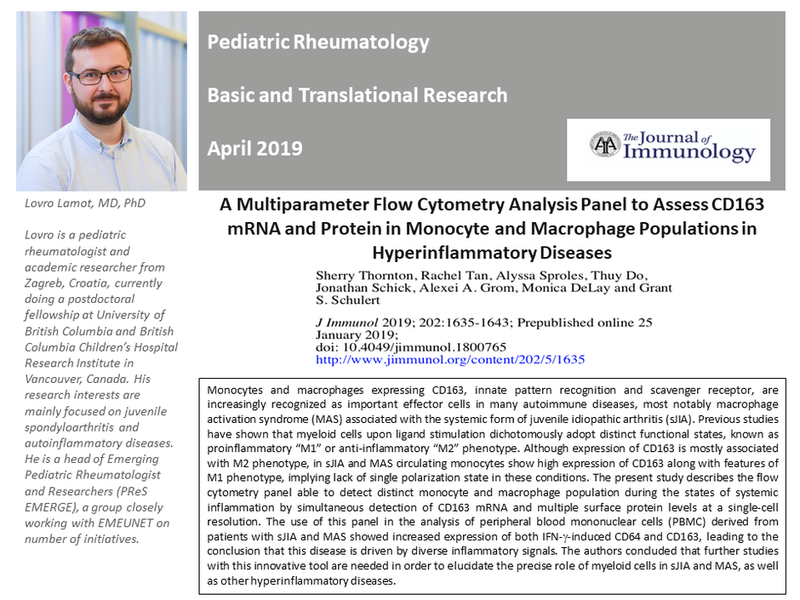 Click here to be directed to the article by Cann et al (2018). 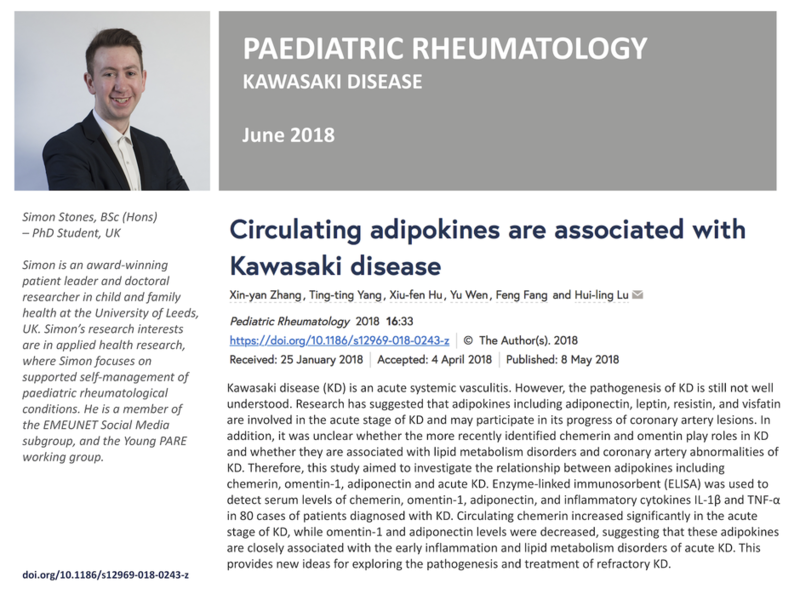 Click here to be directed to the article by Inoue et al (2018). 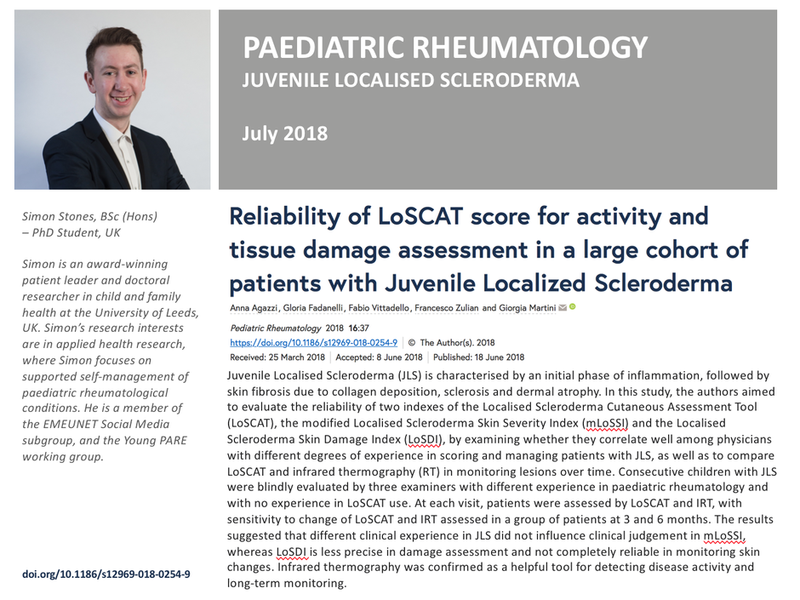 Click here to be directed to the article by Agazzi et al (2018). 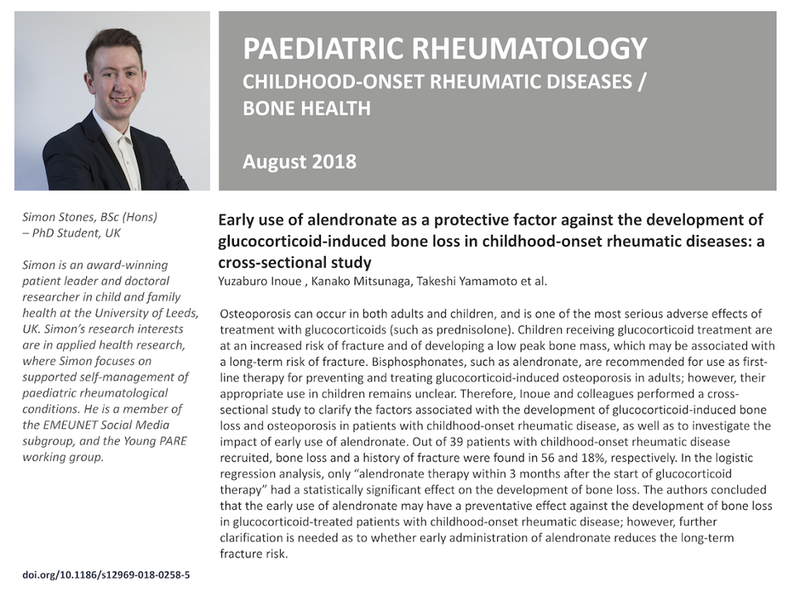 Click here to be directed to the article by Yeker et al (2018). 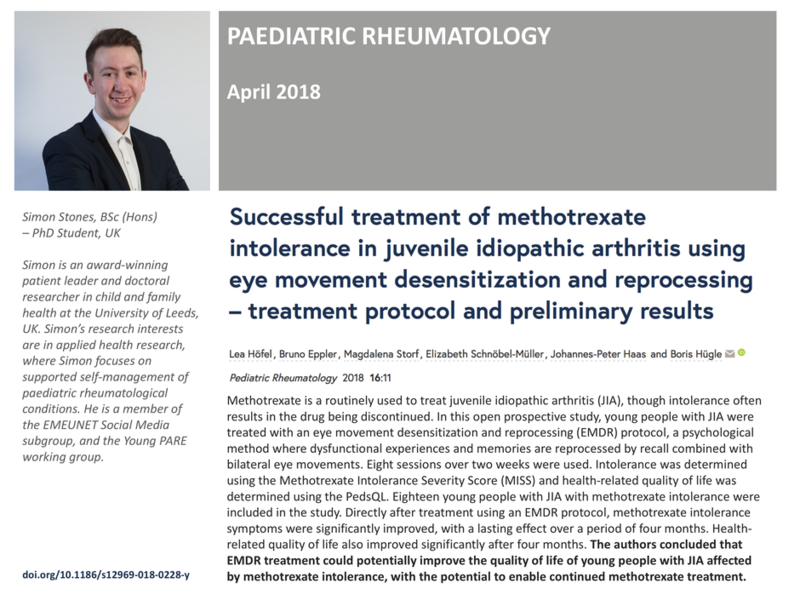 Click here to be directed to the article by Höfel et al (2018).